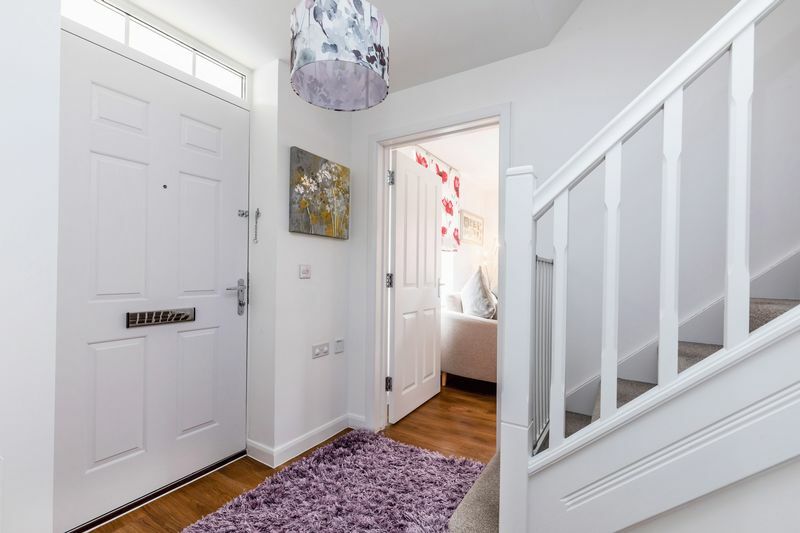 Treagust & Co is delighted to offer this immaculate three bedroom detached family home presented in show home condition, enjoying a corner position with its own driveway and garage. 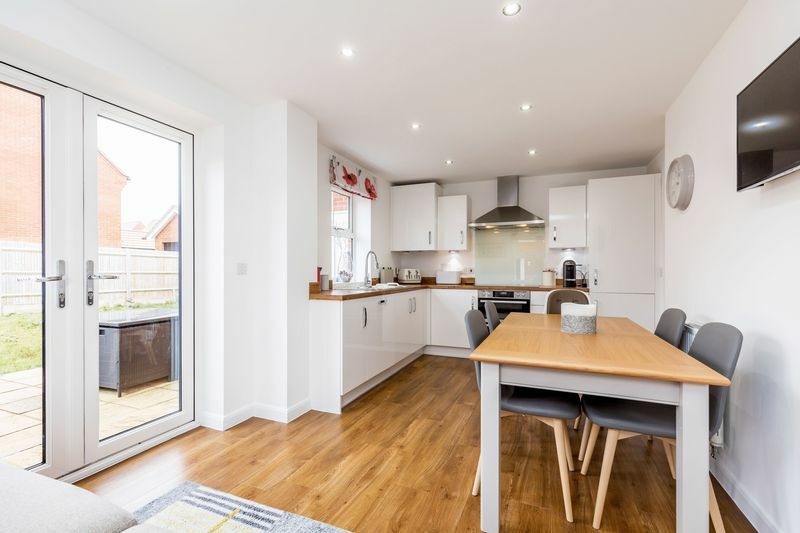 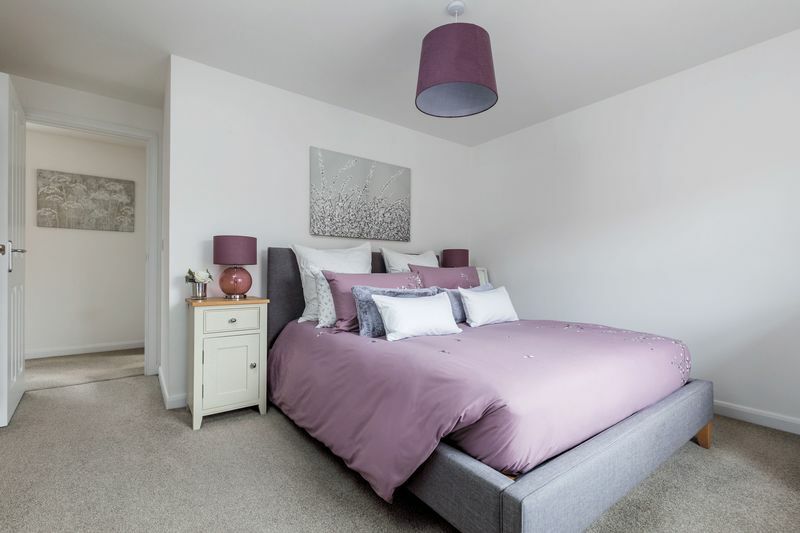 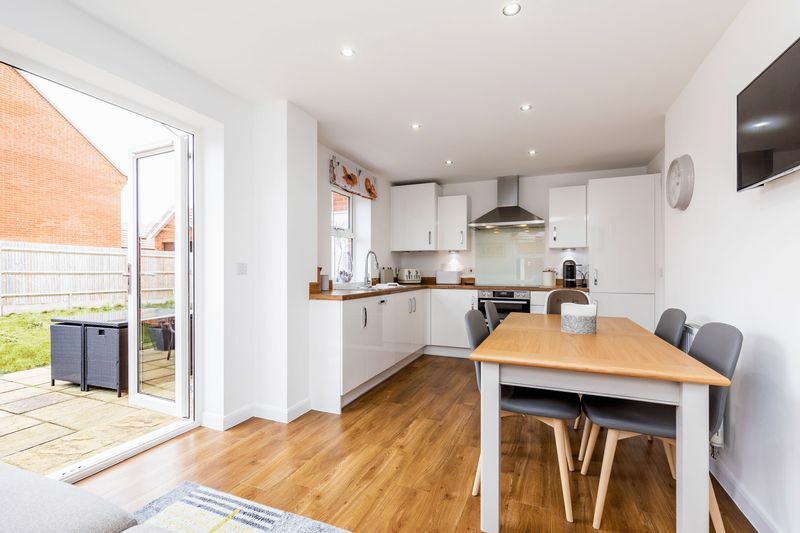 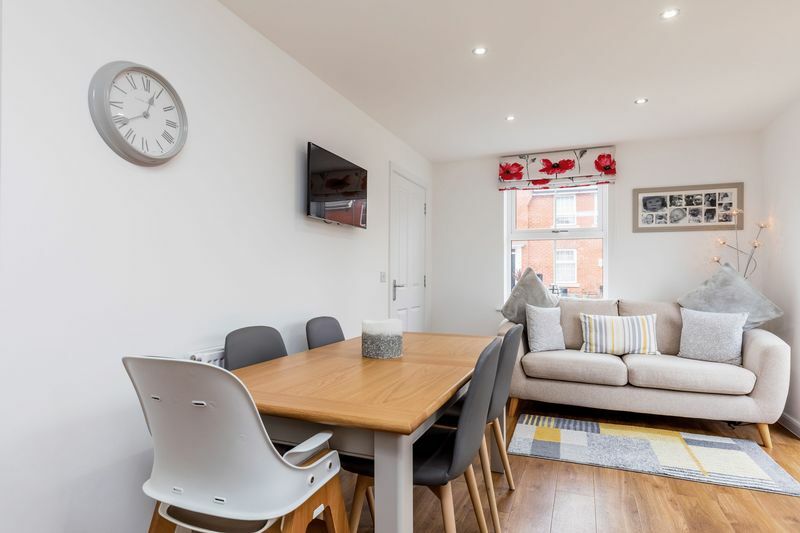 Built in 2015 by the well renowned developer David Wilson Homes, the property benefits from the remainder of a 10 year NHBC new home warranty, and your early inspection is highly recommended. 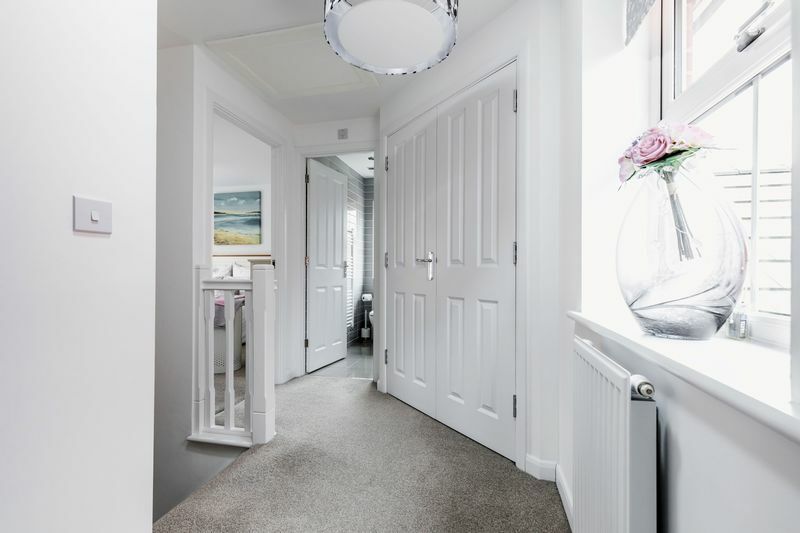 A canopied entrance with front door having a double glazed panel above, opens into the entrance hallway with staircase to the first floor and a cloakroom. 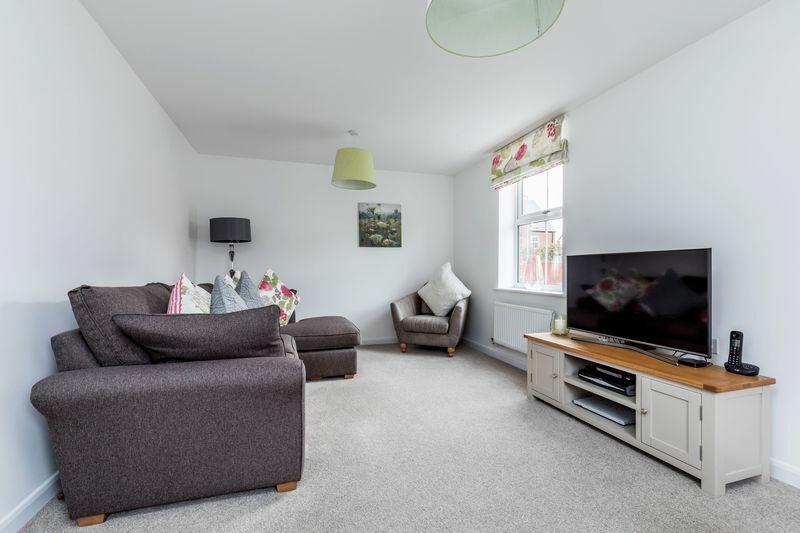 The dual aspect sitting room is located to the front of the property with double glazed windows. 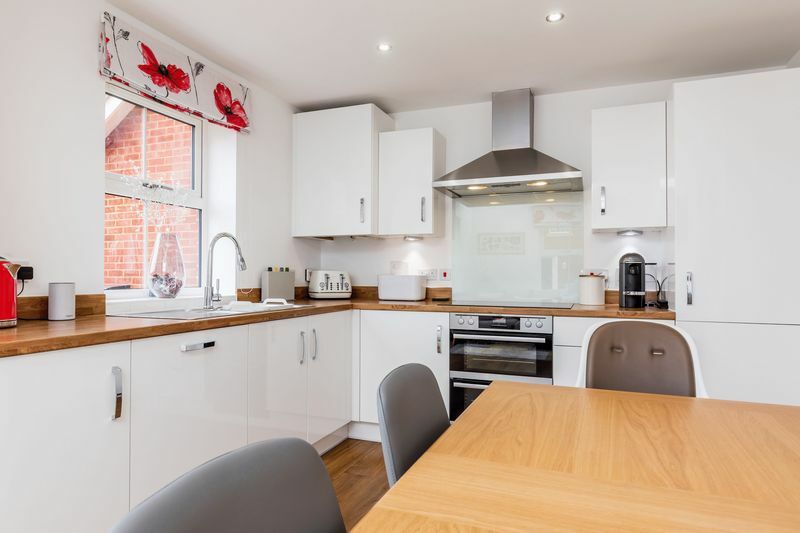 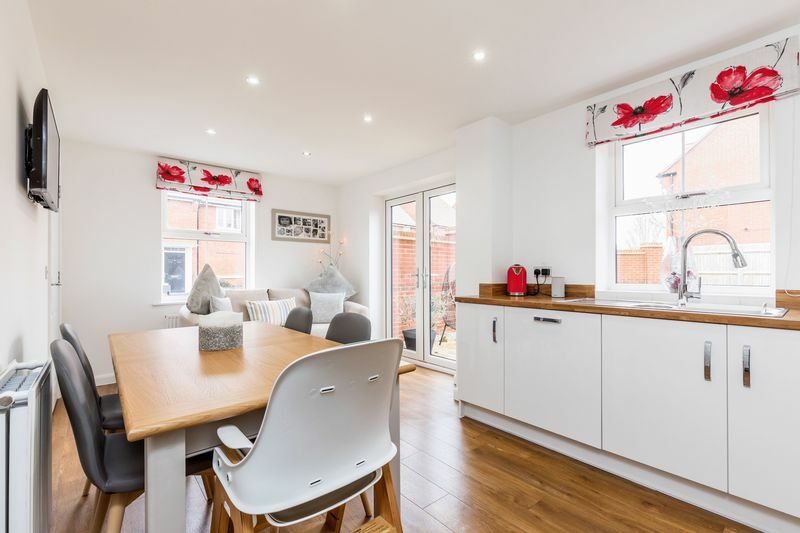 The modern kitchen/dining room with double glazed French doors opening out to the rear garden is fitted with an attractive range of wall and base units, and built-in appliances including an AEG induction hob and double oven with cooker hood above, dishwasher, fridge and freezer. 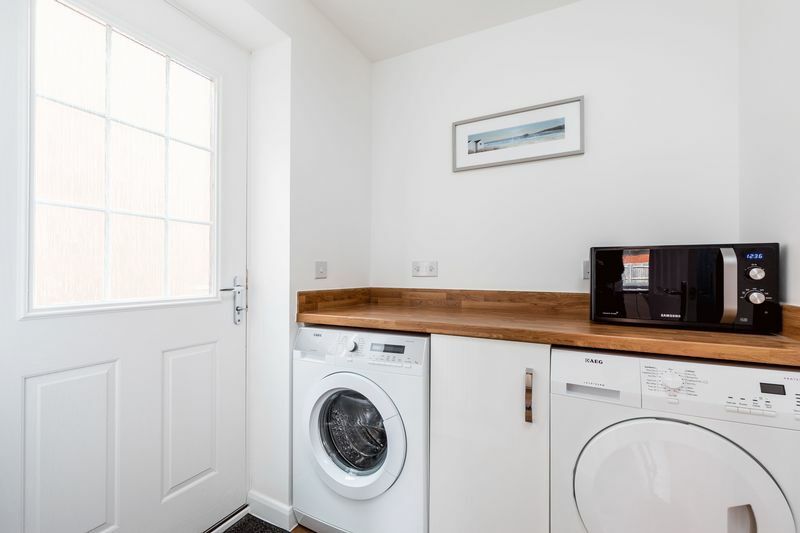 Completing the ground floor accommodation is the utility room which has space for a washing machine and tumble drier, and has a double glazed door out to the driveway area. 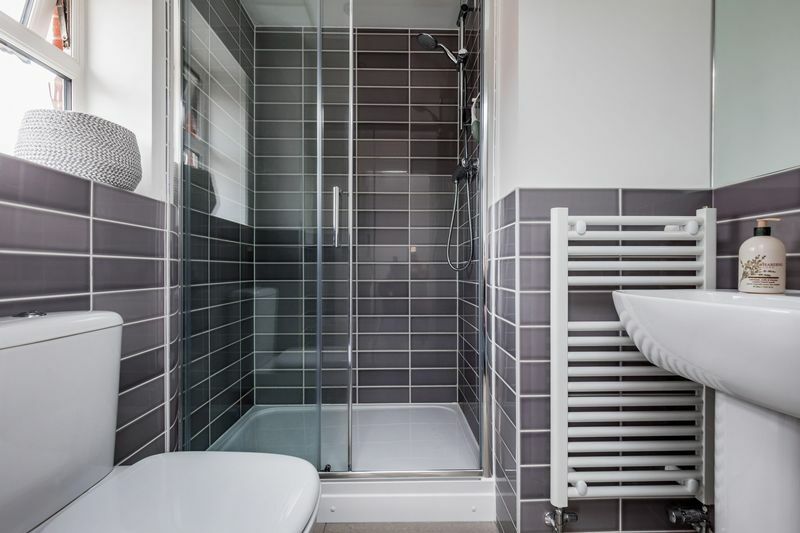 On the first floor there is a double glazed window, hatch to the roof space and a built-in airing cupboard with slatted storage space. 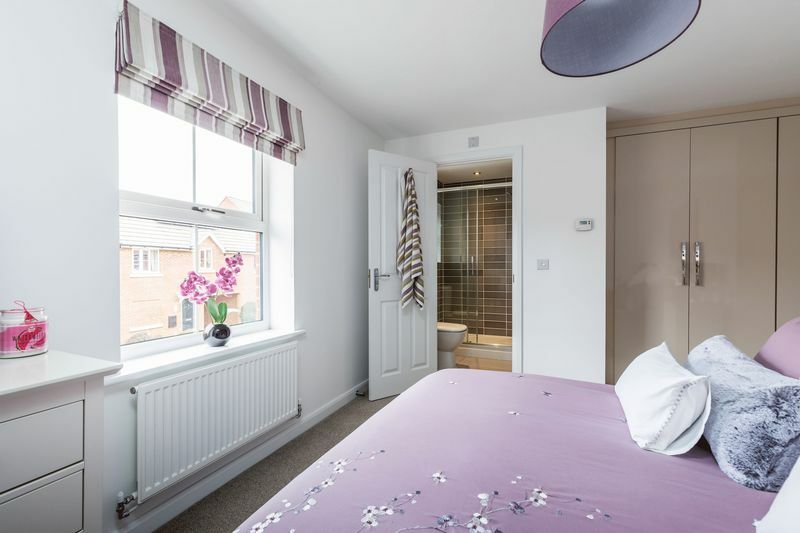 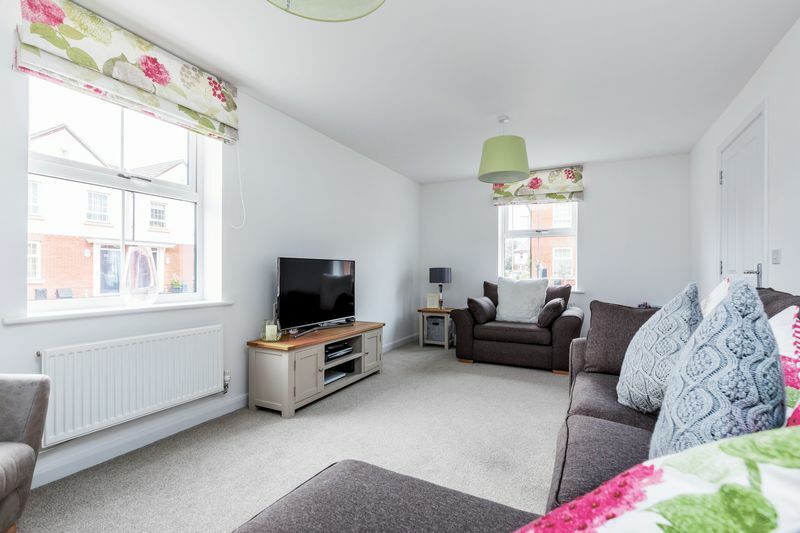 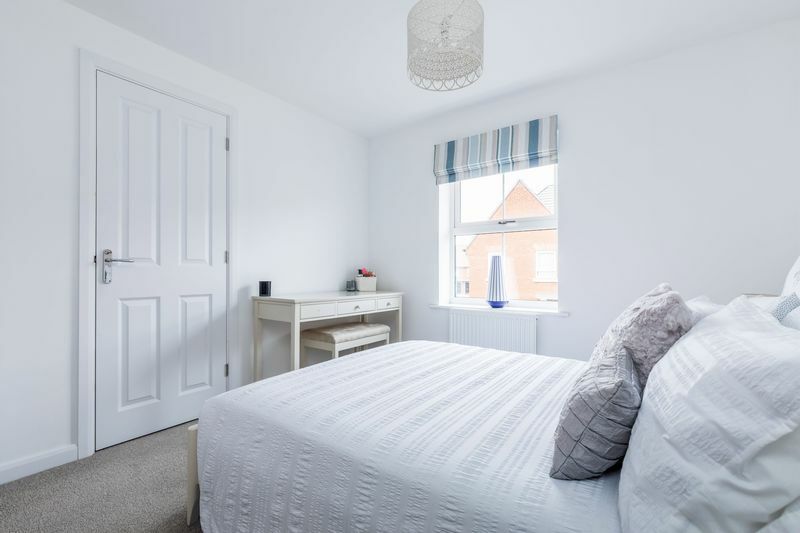 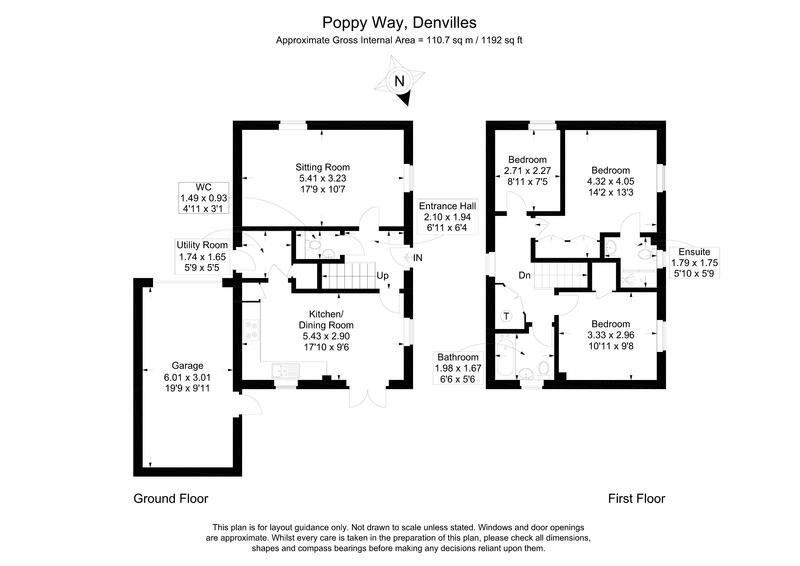 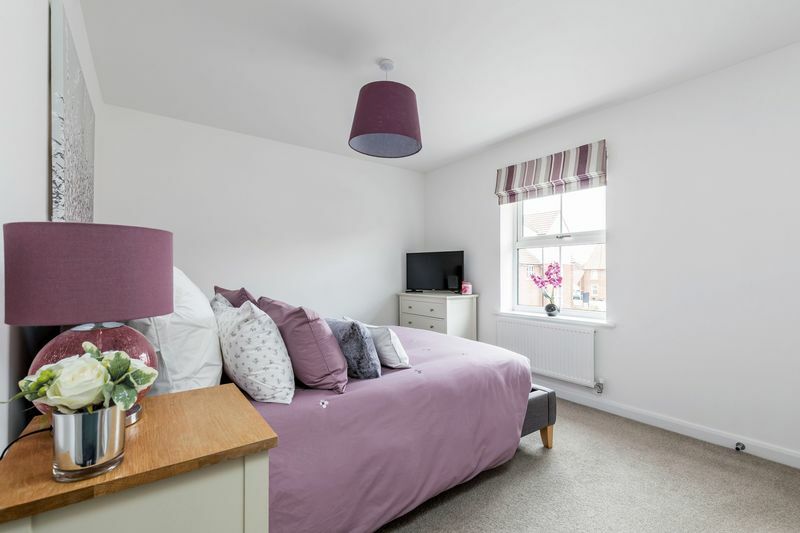 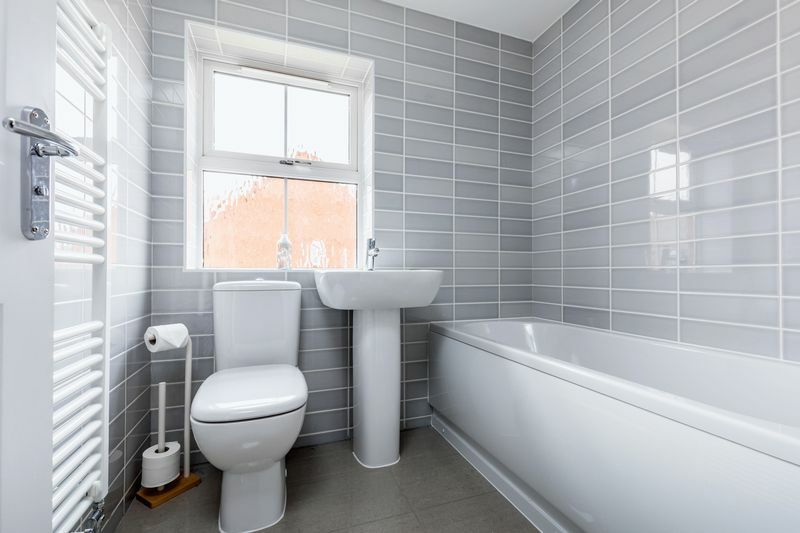 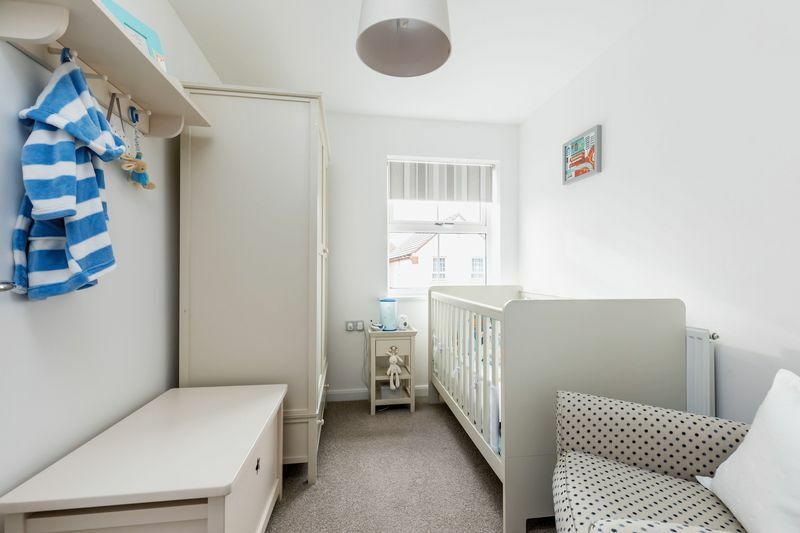 There are three bedrooms (two doubles with storage), with the master bedroom having an ensuite shower room in addition to the family bathroom also found on this floor. 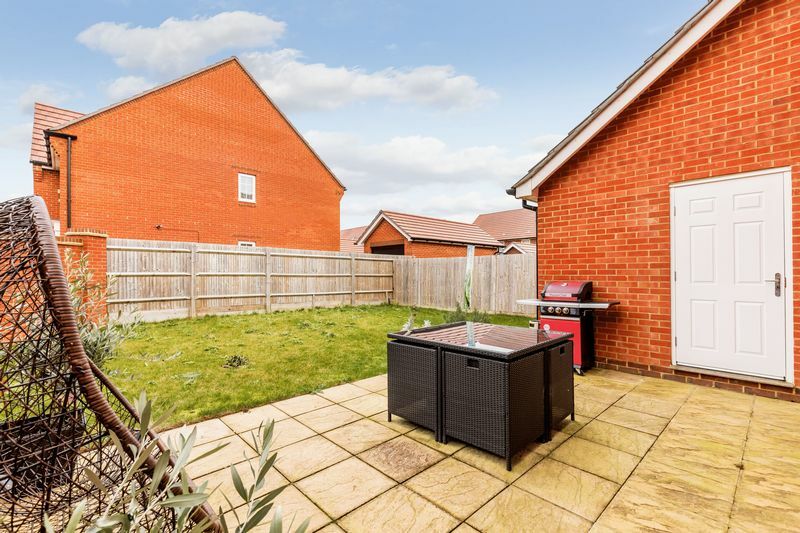 Occupying a corner position there is a front garden area extending to the side of the property with ranch style fencing and a pathway to the front door. 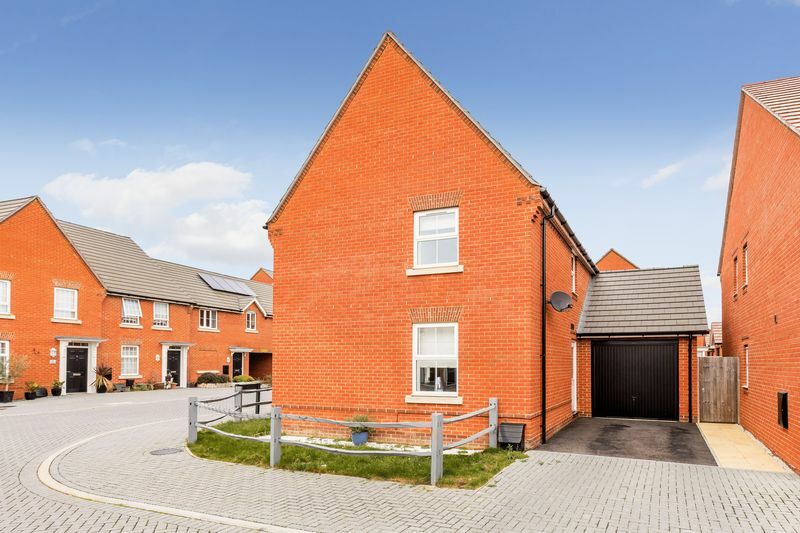 A private driveway affords off-road parking and leads to a garage with up and over door, and overhead storage space. 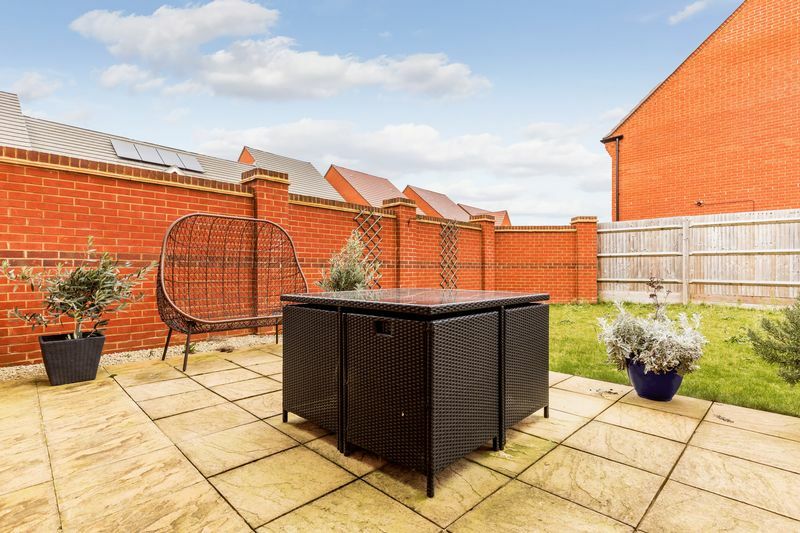 A pedestrian gate opens into the partially walled rear garden which is laid to lawn with a paved pathway and patio area. 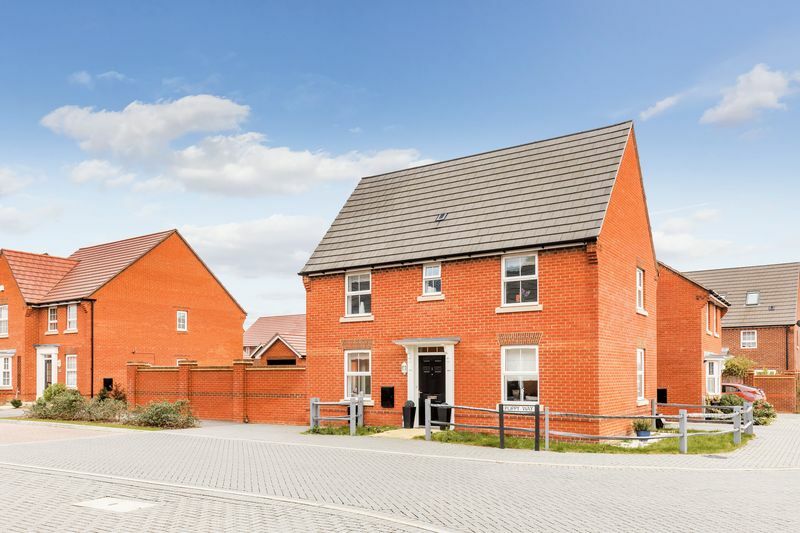 Denvilles is approximately one mile to the east of Havant town centre with its good range of shops, leisure centre with swimming pools, sports hall and gym, and train station with excellent links to London and the south coast. 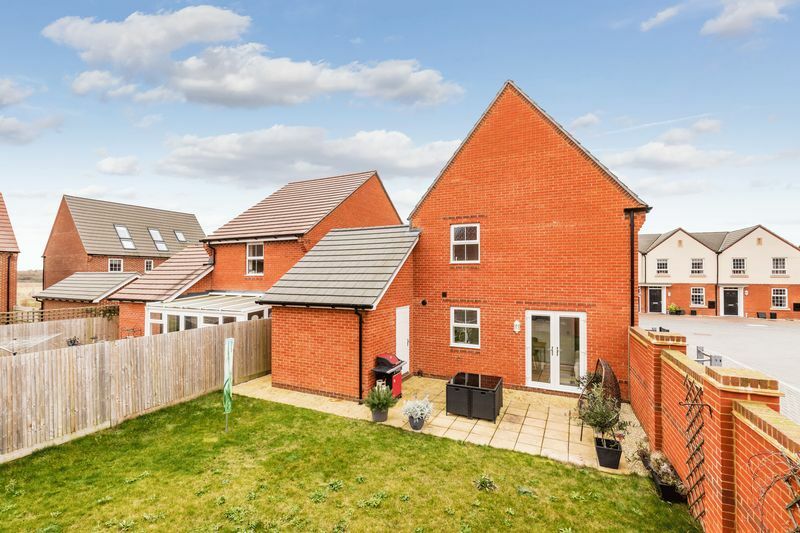 Primary schools are in nearby Havant and Emsworth, a secondary school is in neighbouring Warblington, and a convenience store is in Denvilles. 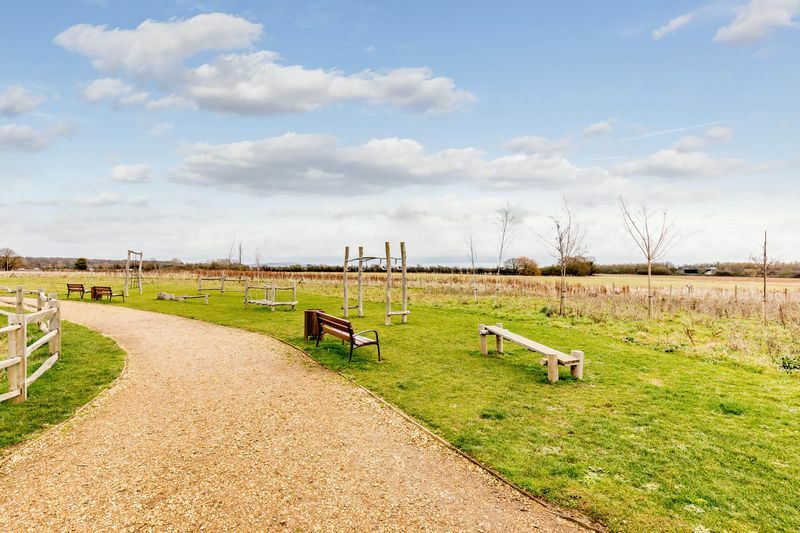 Warblington train station is south of Denvilles and the A27 is nearby with its junction with the A3 to London less than three miles away. 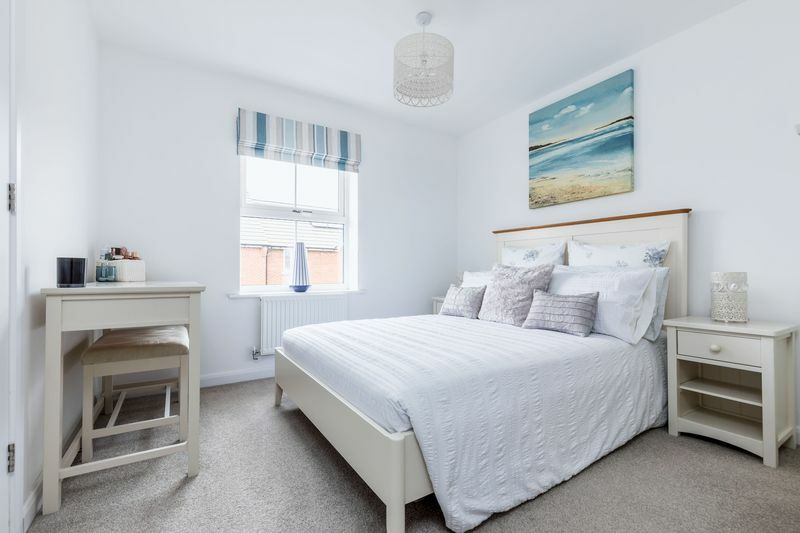 The South Downs National Park is just a short drive away and the head of Chichester Harbour is nearby in the quaint village of Langstone.